A door has been opened beneath the waves of the Pacific ocean allowing creatures to pass into our world and wreak havoc on our planet. Through years of terrifying battles and countless tragedies, the governments from around the world pull together and form a new line of defense. 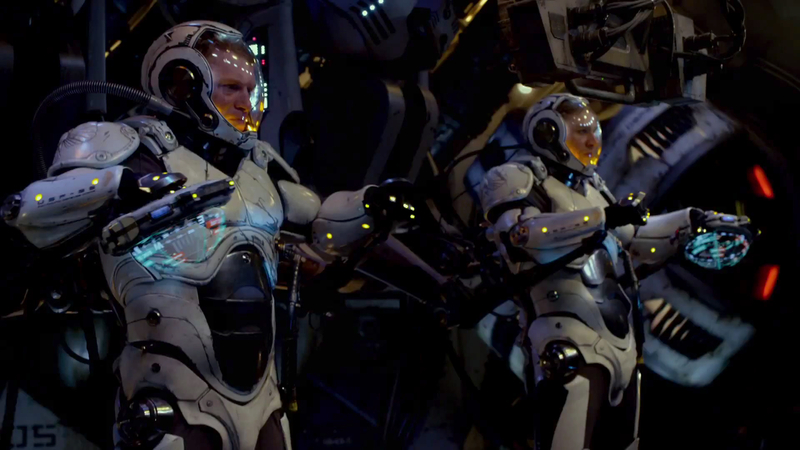 Jaegers, designed to combat the alien Kaiju, become earths last and only hope for freedom and safety from what waits beyond the portal. Remember when you were a child and everything was big? As adults, at some point, we look back on something from our childhood and say, “I remember it being a lot bigger.” That scale of things decreases as we get older due to both our increase in size and our ability to process things as accurately as we can while we mature. As we grow we understand things better. We can quantify life and put things in perspective that lets us rationalize the world and process it in a way that allows us to keep our sanity. That is why I love giant monster movies. It takes something big, whether it be a thought or an object, to put us in our place and feel small in this world and or universe. 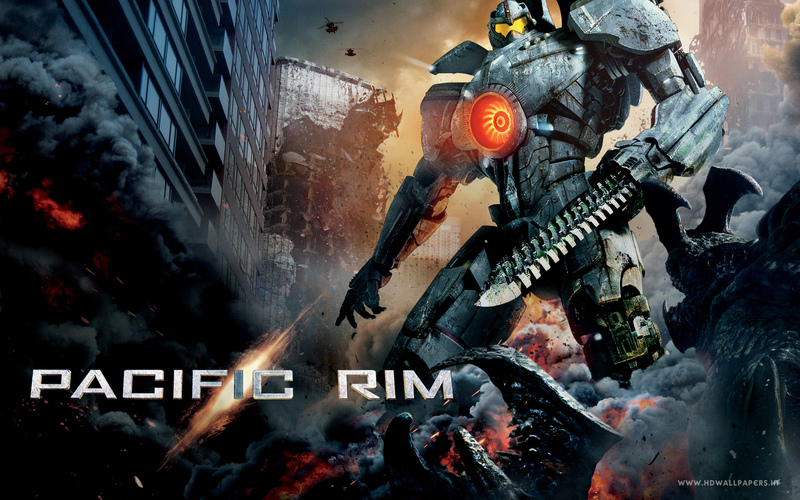 Guillermo del Toro achieves this effect with his newest action/science fiction phenomenon, Pacific Rim. 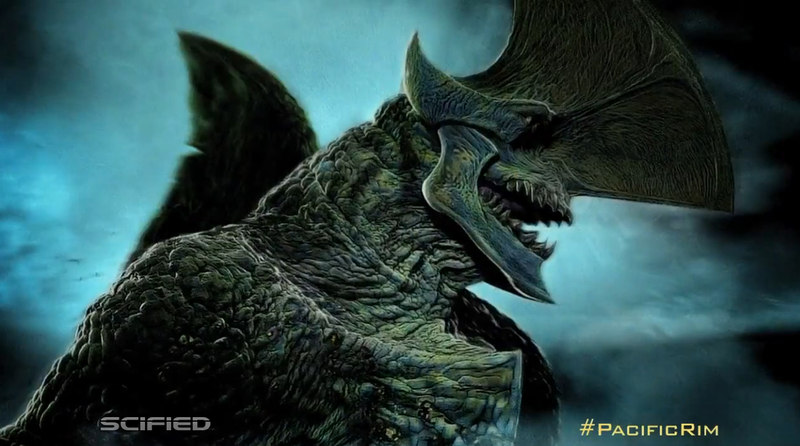 The grandeur of del Toro’s Pacific Rim is nothing to balk at. It is indeed the size of everything in this movie that brings us back to our childhood. The Godzilla-like destruction, scale of combat (literally), and the inter-dimensional concept that make us feel small again and loose ourselves in wonder and awe. But then again this is Guillermo del Toro we’re talking about. The imagination of this creature feature master is astounding, and it makes me sad, yet hopeful, that someday he will indeed adapt H.P. Lovecraft’s At the Mountains of Madness. The sheer otherworldliness of the whole plot, and the brief yet mind blowing glimpses into the Kaiju’s own home are clear winks and nudges to Lovecraft’s style and possibly del Toro flexing those muscles to show he’s got what it takes to dive into At the Mountains of Madness. That said, in the gaps between all the action, the acting fell flat at times, even though I humored the idea that the character subplot seemed a bit satirical to the old kaiju films. I enjoyed Ron Perlman (Hellboy) as the seedy black-market dealer, and thought Idris Elba’s role was a good anchor for the plot. However I was left cold with Charlie Hunnam (Sons of Anarchy) as Raleigh Becket, the lead role. This unfortunately seems to be the complaint I’ve seen amongst other reviews. There are also a lot of haters who write like they were expecting an Oscar nominated film. Some even go as far to describe how childish the film is and how del Toro could have done better. Personally I enjoy the fact that it brought me back to my younger days when I watched massive monster movies. I laughed out loud when one article in particular called out that, “‘Rim’ will be as gripping as seeing a Transformer battle a toy dinosaur in a bathtub.” It was funny to me because in my bathtub days the soapy battles my toys played out were imagined into giant leviathans fighting G.I. Joe’s.